This is the first in a four-part series examining Waterdown’s local road infrastructure and how it has been impacted by the development boom. The steady sound of construction comes from the south side of Dundas Street, turning what were once green farm fields into a slew of new developments — and what will be a burgeoning commercial area. 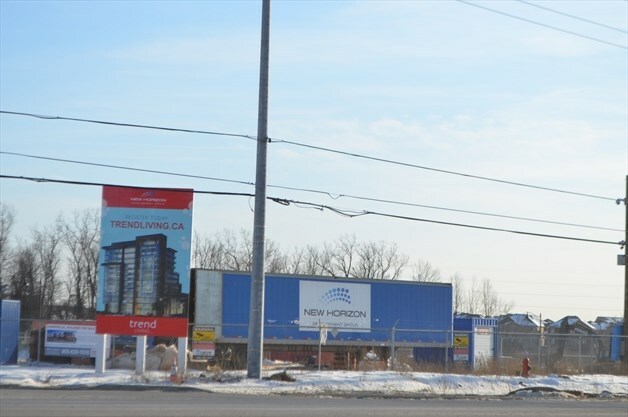 Welcome to the new Waterdown — at least, the new eastern gateway to the community. While the community may still market itself as the Victorian Village of Waterdown — as signs in the heart of the community proclaim — aside from the homes in the old core, the village has now ballooned to close to 20,000 people. The downtown core still boasts stonework and heritage aspects befitting a community founded in the 1800s, but the new developments at its fringes render it indistinguishable from any other suburban area in southern Ontario. “I’ve had people come through, my political colleagues, and say, ‘Where’s the Victorian town that the sign says you have here?’” said former Ancaster-Dundas-Flamborough-Westdale MPP Ted McMeekin. McMeekin, a former mayor of the Town of Flamborough, represented the area at Queen’s Park from 2000 to 2018 — a period of extensive growth within the community. He noted the growth has been ongoing for years — in fact, before he was elected as MPP. During his time as mayor and as a representative on Hamilton-Wentworth regional council, he and fellow Flamborough councillor Dave Braden moved a motion to slow growth within the community. “We [wanted] to dramatically slow the growth until we [had] the capacity to put in water and sewer infrastructure, the schools and the related services,” he said. However, the region claimed that they wouldn’t honour the motion, which led to Flamborough successfully challenging the region at the Ontario Municipal Board. “Surprisingly, the OMB sided with Flamborough and said it’s entirely reasonable for the town to monitor and control it’s growth to make sure that the planning is both substantive and realistic,” he recalled. When the Ontario government amalgamated Flamborough into the City of Hamilton, the decision was rendered null and void. In fact, McMeekin suspects the Flamborough OMB win expedited the move to amalgamation. While the growth was kicking in prior to 2000, McMeekin noted that the visible manifestation of the growth likely happened after 2003. “There were the same issues that Waterdown is facing today,” McMeekin said of reason for the official plan amendment. “We just tried to delay [the growth] and make it reasonably intelligent. He said that the suburban growth seen in Waterdown — and across the province — led McMeekin’s governing Liberals to introduce the Ontario Places to Grow Act, a document that designated Hamilton a growth area in the province. “The provincial government, in it’s infinite wisdom — or folly — decided we should have a document called Places to Grow,” McMeekin said. Although Places to Grow designated Hamilton a growth area, and specified that 40 per cent of municipal development had to take place within the existing urban boundary, it was up to the municipal council to decide where the growth should be located. So, in 2006, Hamilton council approved the Growth Related Integrated Development Strategy (GRIDS). The strategy dedicated specific areas as key “nodes” as the preferred places to build residential units and commercial spaces; nodes included downtown Hamilton, downtown Stoney Creek, about 1,130 hectares of land in Elfrida, and downtown Waterdown. 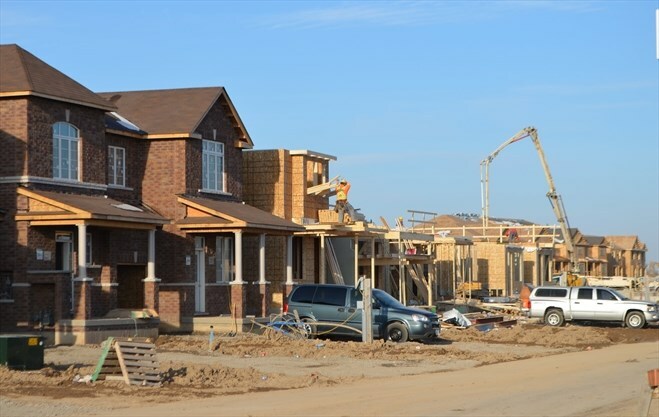 Since that time, growth in Waterdown has shown no signs of abating. In 2001, the population in all of Ward 15 was 24,480. 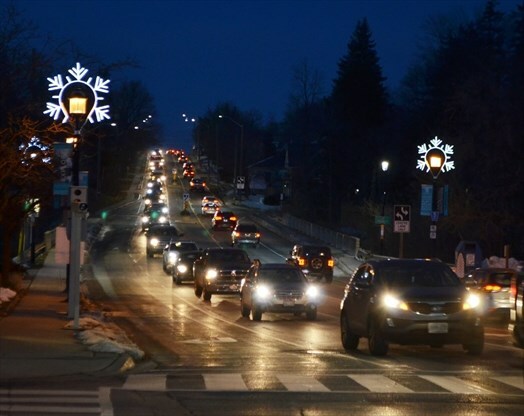 By 2016, that number had increased by almost 4,000 to 28,745 — and, according to a study released by the Waterdown Business Improvement Area, the 2016 population in Waterdown was estimated at 19,876. The City of Hamilton has projected that number will balloon to 39,400 by 2031 — and estimated that the city’s population will grow by an additional 100,000 by 2041. City census data also shows that the number of dwellings in the Flamborough ward has increased by 1,500 from 2001 to 2016. And more are coming, with an expected 7,500 homes to be built in the community. In fact, the Waterdown Bay South development alone — south of Dundas Street on the east side of Waterdown — is expected to include 3,500 homes. While one of the stated purposes of the Places to Grow Act, was “to promote a rational and balanced approach to decisions about growth that builds on community priorities, strengths and opportunities and makes efficient use of infrastructure,” infrastructure continues to lag behind development in Waterdown. 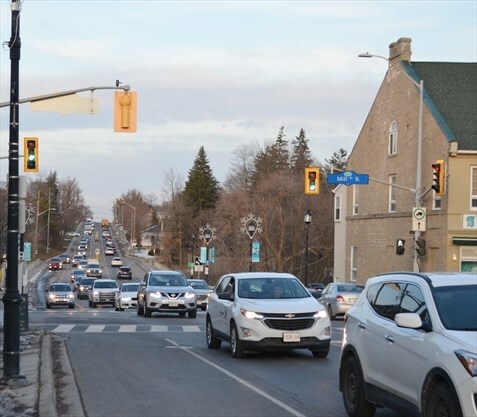 That infrastructure gap, combined with the new homes — and the residents within them — have contributed to a traffic snarl that renders Dundas Street almost impassable during rush hour. Growth and its associated headaches are something Ward 15 Coun. Judi Partridge has dealt with more than any other issue during her eight years at the Hamilton City Council table. And she puts the blame squarely on the province. Much the same way McMeekin’s amendment attempted to delay development, the city made a case to halt development in the community until a bypass was complete. However, the case was taken to the Ontario Municipal Board, which — due to the Places to Grow Act — ruled in favour of the developers. Since then, any attempt to prevent development in Waterdown until infrastructure can catch up to the population boom has been thwarted at the OMB. And Partridge expects that there could be additional development — particularly if developers decide that within the 7,500 homes there should be multi-unit buildings, such as the 12- and 15-storey towers slated for the south side of Dundas Street. Partridge, who was re-elected by a slim margin over challenger Susan McKechnie in October’s municipal election, said that traffic and development were a big part of the campaign. Part of the infrastructure Partridge is banking on to deal with the traffic issues is the building of the long-awaited Waterdown bypass. The bypass is designed to get traffic off Dundas Street, which has a natural pinch point in the downtown core, due to the heritage buildings in the Mill Street to Main Street corridor. “The biggest issue is in the core with the Victorian buildings,” Partridge told the Review in 2017. “There is nothing we can do in the core [with Dundas Street]. McMeekin said that he can recall the bypass being an election issue when he was first elected mayor — in 1994. “It was an issue of growth and people not being able to handle the 403 — they were taking shortcuts [through Waterdown],” he said. “Plus, all these people were moving in and using Highway 5. Originally, the plan was for the bypass to be a ring road around Waterdown, using King Road, but that was thwarted by the implementation of the Greenbelt. Now, the bypass route is broken into two sections — the East-West Bypass and the North-South Bypass. Partridge noted that the bypass project dates back to at least 2005 — but wasn’t approved by the province until 2013. She puts the blame for the delay on the Ministry of Environment and the province. However, in addition to the bypass routes, there are other complicating traffic projects in the Waterdown area — including the long-proposed Highway 5 and 6 interchange, as well as the replacement of the Grindstone Bridge on Dundas Street. Partridge noted that the bridge is owned by CP-CN, who have been pushing the city for a timeline on its replacement, in the face of a potential liability issue. But that will necessitate the closure of Dundas Street at the bridge for six to eight months; as a result, the bridge will not be replaced until the bypass is complete, as there needs to be an alternate route for the traffic to flow. While the growth has caused numerous headaches for Waterdown and its residents, McMeekin said that it’s not surprising people want to come to the erstwhile village. “Who wouldn’t want to move to Waterdown?” he said, adding that the community retains a small-town sensibility, is less expensive than elsewhere in the GTA and has close access to the GO Train. However, he said that even 20 years ago he was concerned about growth. “My goal was never to become Mississauga West,” McMeekin said. “I think we’re in very proximity to that being a danger.